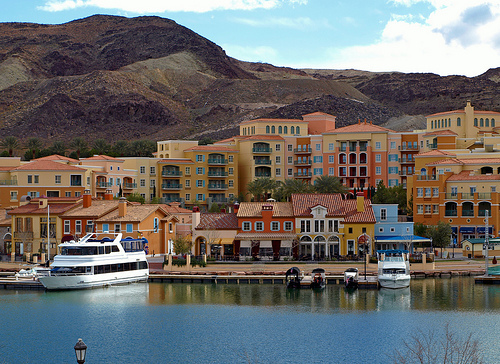 For many of its residents, living in Lake Las Vegas provides an opportunity to escape the monotony of the everyday, every day. If you're looking for a lock-and-go lifestyle to be able to play on your own schedule, a Townhome or Condominium may be just the landing pad for you. Amenities are plentiful in this lifestyle, and recreation of nearly every kind is within minutes. 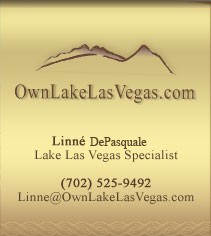 Lake Las Vegas offers the very best in Townhome and Condominium living. Both New and Existing Townhomes and Condominiums are available. Vizion is a beautiful hilltop enclave with sweeping views of everything that makes Lake Las Vegas beautiful. Three different layouts are offered and modeled in this coveted, private neighborhood. Vita is a majestic community overlooking the spectacular Reflection Bay Golf Club, on the shores of Lake Las Vegas, reminiscent of an idyllic Italian village. Three distinct layouts are available and modeled. Gali has defined a new way of life: Six-Star Living, a new standard in sophisticated resort living with refined luxury & convenience. The 324 luxury villas of Galileo will pay homage to Florence, Italy. Four plans are build-to-suit. 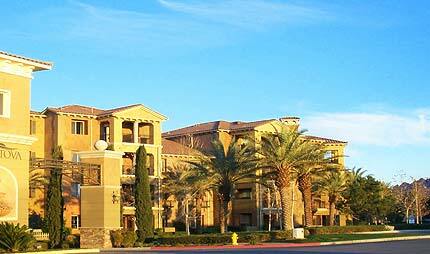 Tova is a collection of Lakefront condos at Lake Las Vegas' SouthShore community, within walking distance to the SouthShore Yacht & Beach Club. Tova offers six versatile layouts, built to surround remarkable views. The hillside homes of Prima are a luxurious escape from reality. Whether you admire the beauty from Club Prima’s lounge area, MonteLago Village, or your own terrace, one of 11 plans is the perfect home base. Set within Lake Las Vegas' gated and exclusive SouthShore, these townhomes are emphasized by unmatched luxury and spectacular views. Three beautifully-appointed models are open, one of each plan.